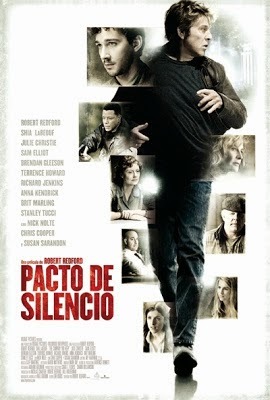 Reparto: Shia LaBeouf (Ben Shepard), Stanley Tucci (Ray Fuller), Susan Sarandon (Sharon Solarz), Robert Redford (Jim Grant), Nick Nolte (Donal), Chris Cooper, Julie Christie (Mimi Lurie), Richard Jenkins (Jed Lewis), Anna Kendrick (Diana), Stephen Root (Billy Cusimano). Guión: Lem Dobbs, basado en la novela de Neil Gordon. Producción: Nicolas Chartier, Bill Holderman y Robert Redford. Diseño de producción: Laurence Bennett. Productoras: Voltage Pictures, Wildwood Enterprises, Kingsgate Films, Brightlight Pictures y TCYK North Productions.